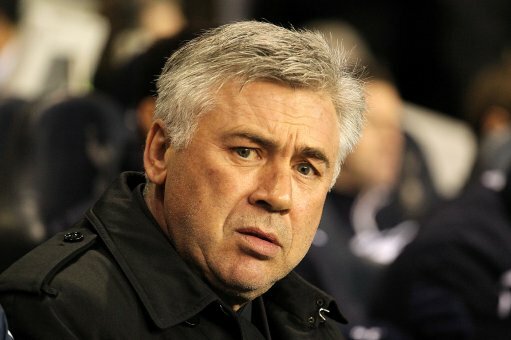 Carlo Ancelotti On The Brink Of Chelsea Exit? According to word in this morning’s Currant Bun, the majority of the Chelsea squad are fearing for Carlo Ancelotti‘s future at the club after watching their manager become increasingly disillusioned with life at Stamford Bridge. Ancelotti is rumoured to be in a state of flux ever since watching his erstwhile assistant Ray Wilkins getting shunted from his post, a callous move that has left the Italian despairing over the ruthless nature of Chelsea’s internal politics, the club’s knotted web of power and the various schisms that are opening up within the squad itself. “The atmosphere isn’t good at the moment. Everyone is convinced Carlo has had enough, though absolutely everyone is desperate for him to stay. “He’s very, very popular with the players, who believe that he is an excellent manager. But there’s no doubt the squad itself is unsettled and cliques are starting to form. Weapons-grade tabloid bum rubbish? Or, given Chelsea’s doleful slump over the past month, a heady cocktail of rumour-juice and truth-nuggets? French-speaking? That’s an awful lot of them no? where has it all gone wrong for Chelsea? Ah Roman, no patience for anyone.